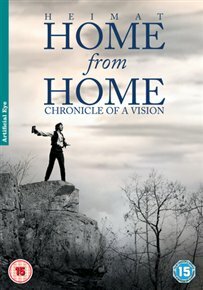 Edgar Reitz’s – DIE ANDERE HEIMAT – CHRONIK EINER SEHNSUCHT/HOME FROM HOME – CHRONICLE OF A VISION – out on dvd and BluRay. 1840, the Hunsrueck village of Schabbach is struggling with crippling poverty and food shortages caused by years of bad harvests. Jakob, the younger of two brothers, dreams about leaving his small village for Brazilian. Everyone who encounters Jakob is drawn into his dreams, especially Henriette, the daughter of a gem cutter fallen on hard times.